Peoples Bank & Trust is excited to bring Hometown Banking to Cottleville! We look forward to building lasting relationships with local businesses, organizations and our new neighbors. The new branch will be located at the corner of Cottleville Parkway and Lohmar Lane as part of a 6,000 sq. ft. commercial building containing space for up to three additional, future businesses. Along with the main structure, a drive up ATM will be constructed on the property for added customer service. We anticipate opening the new branch Summer of 2019. 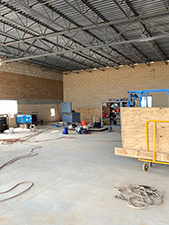 Check back here and follow our Facebook page for updates on the progress of the building. 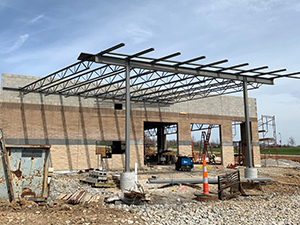 Warm weather brings quick progress on the new Cottleville branch. You can see the drive up, walk around the inside where the bank branch will be and the front of the building is almost complete. With the weather warming up, more progress has been made in a short amount of time. 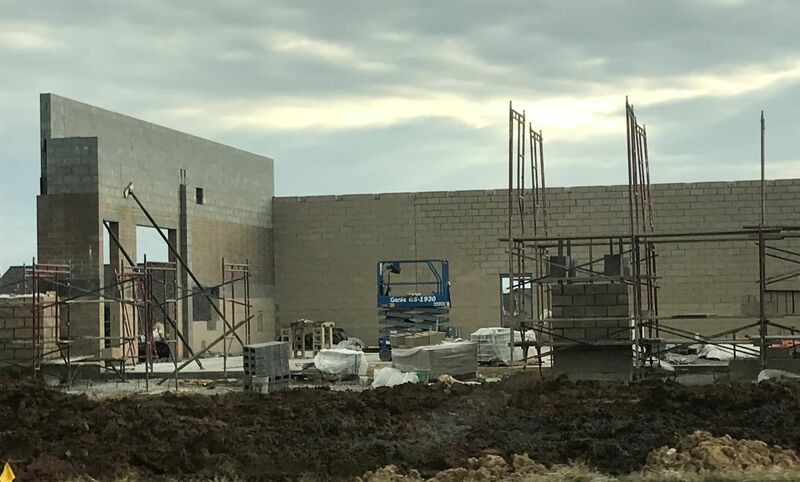 Exterior walls are going up and soon we will have a building! Dirt work has started at the construction site and hopefully the footings will be poured in the upcoming days. 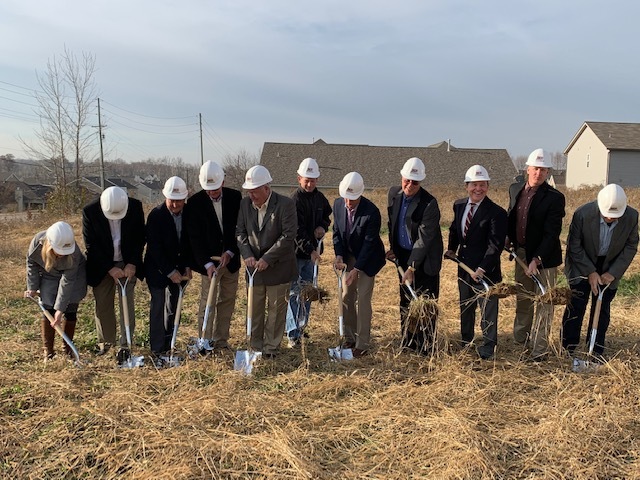 The Peoples Bank & Trust Board of Directors, Cottleville City Officials and the Cottleville-Weldon Springs Chamber of Commerce held a Ground Breaking ceremony on the site of our future branch.